This chapter provides an overview of the Machine Learning (ML) concepts in the clinical field which data may be collected, either by Health Care Professionals (HCP) or patients. These data may include activities and medication reminders, objective measurement of physiological parameters, feedback based on observed patterns, questionnaires and scores that require computational processes that give rise to useful information capable of supporting clinical decision making. 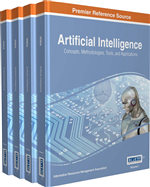 The chapter describes ML in terms of learning concepts emphasizing the following approaches: supervised, unsupervised, semi-supervised, and reinforcement learning. The principles of concept classification are explained and the mathematical concepts of several methodologies are presented, such as neural networks and support vector machine among other techniques. Finally, a case study based on a radial basis function neural network aiming at the estimation of ECG waveform is presented. The proposed method reveals its suitability to support HCP on clinical decisions and practices. Clinical Decision Support Systems (CDSS) are widely applied in healthcare processes, such as triage, early detection of diseases, identification of changes in health symptoms, extraction of patient data from medical records, in-patient support, evaluation of treatment, and monitoring (Pombo, Araújo, & Viana, 2014). Patients and health care professionals (HCP) should be asked to periodically interact with the system so as either to obtain health care information such as medication and clinical guidance, or to maintain their patients' medical data up-to-date. These data may include, for example activities and medication reminders, objective measurement of physiological parameters, feedback based on observed patterns, questionnaires and scores. Therefore, not only CDSS tend to be integrated into many other systems which raises several concerns related to sensor technology, hardware, software, and communications, but also patients together with HCP are sources of health care raw data. Thus, the main challenge arising from these scenarios corresponds to the management of data which are obtained, presented, and processed so as to produce useful and opportune information related to medical practices. In line with this, machine learning (ML) methods may be applied into CDSS aiming to establish knowledge refinement and discovery with the purpose of giving reliable explanations and support to HCP and patients. The knowledge gained from data management can also be subsequently used for different applications ranging from medical diagnosis to early prediction of clinical conditions and diseases. Decision makers can hence make a more accurate assessment of situations based on this attained knowledge. However, several features are desired for a ML system to be useful in solving medical tasks such as good performance, the ability to appropriately deal with missing and noisy data (uncertainty and errors in data), the transparency of diagnosis knowledge, the ability to explain decisions, and the ability of the algorithm to reduce the number of tests that are necessary to obtain reliable diagnosis (Kononenko, 2001). In addition, due to the fact that the acquisition of data from patients is often expensive, time consuming and may be cumbersome for the patients it is desirable to have decisions based on a small amount of data. Typically, a function approximation is applied to determine the appropriate subset of data that provide representative and accurate explanation ability of the entire sample. With the purpose of obtaining a function approximation, one of the following four approaches is used: supervised, semi-supervised, unsupervised learning and reinforcement learning. Supervised Learning (Figueiredo, 2003): Assumes that the user knows beforehand the concepts, in other words the classes and the instances of each class, that is, an exhaustive database built on external sources is available. The knowledge is obtained through a process or training which includes a data set called the training sample which is structured according to the knowledge base supported by human experts as physicians in medical context, and databases. Unsupervised Learning (Ghahramani, 2004): Assumes that the user is unaware of the classes due to the lack of information sufficiently available. Instead of supervised learning which aims at establishing a relationship between dependent and independent variables, unsupervised learning treats all variables the same way so as to determine the different classes based on diverse features observed in the collection of unlabeled data that encompass the sample set. Semi-supervised Learning (Chapelle, Schlkopf, & Zien, 2010): Aims at propagating full labels to incompletely labeled data. Usually, the data set consists of a mixture of labeled data and unlabeled data. Semi-supervised learning combines the methodology of the supervised learning to process the labeled data with the unsupervised learning to compute the unlabeled data (Singh, Nowak, & Zhu, 2008). Reinforcement Learning (RL) (Sutton & Barto, 1998): Is a paradigm of ML for which rewards and punishments guide the learning process. In RL there is an agent (learner) that acts autonomously and receives a scalar reward signal that is used to evaluate the consequences of its actions.